Hello from a super sunny Seefeld! It’s been some absolutely amazing weather and atmosphere in the packed stadium for the first few races of World Champs this week. And, as always, it’s fun to get out there and do what I love! 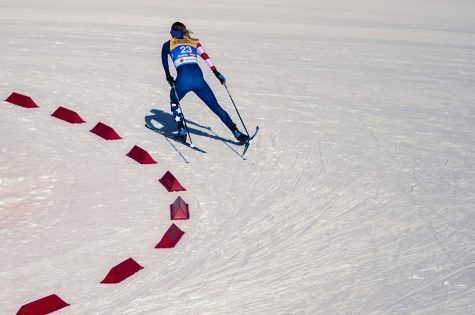 But this post isn’t actually about ski racing (there will be an update on the races coming later!). It’s about something much more important. Headed into more races soon! photo by THIBAUT/NordicFocus. 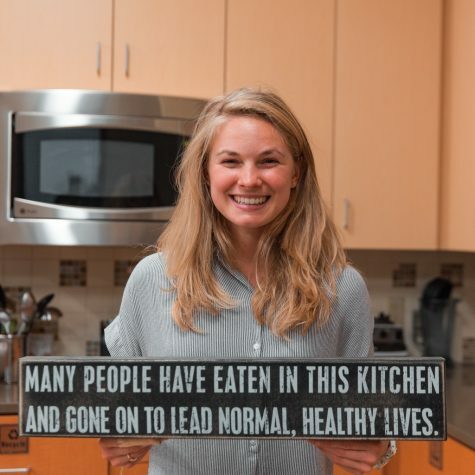 1 Common – More than 30 million people in the U.S. will have an eating disorder. 2. Serious – Eating disorders have devastating physical and psychological consequences—roughly one person dies every hour from eating disorder complications. 3. NOT a Choice – Eating disorders are biologically based illnesses influenced by psychological, sociocultural and physiological factors. 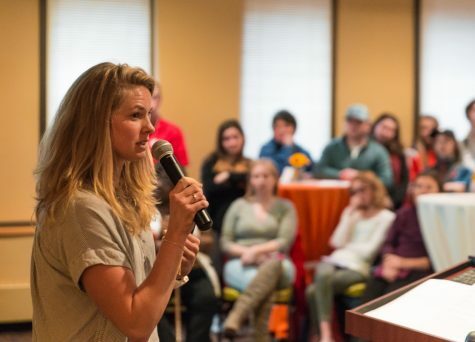 I talk about my history with an eating disorder not only for the young athletes I know who are reading this right now and thinking “wait…that’s ME”, but also for their parents, coaches, friends and teammates who are trying to figure out what it might be like to actually have an eating disorder. For those who are trying to find empathy and figure out what’s going on in their head…here’s what was going on in mine. The crazy thing is, sitting here today, it feels like a lifetime ago, and it’s easy to forget the feelings of panic, anxiety, fear and shame that followed me around on a near-constant basis. But when I sit and think back to 2010 when I was picking up the phone to call the Emily Program and get treatment, it was the scariest thing in the world. It felt like my life couldn’t possibly go on without my eating disorder. It also couldn’t go on WITH one, either. It’s alarming how quickly it spiraled out of control. I went from not caring what anyone thought I looked like in my early high school years (as evidenced by my daily uniform of baggy track pants, old cotton t-shirts from one race event or another, running shoes and a hair tie on my wrist) to thinking there was no way I would ever look cool, pretty or skinny…but suddenly worried about it. At this point, that just makes me a normal teenager. Those people who say “high school years are the best of your life!! !” are nuts. Don’t listen to them. No, the scary part was that I went from feeling a little insecure and staring to use some disordered eating habits (going for a run after dinner even when I’d already trained that day, deciding certain foods were “off limits”, never using butter or salad dressing, etc.) to a full-blown eating disorder very quickly. My thoughts rapidly turned into “I can’t possibly get through this week of training without my eating disorder”, and I only saw a future in which I was living through the lens of disordered eating. Despite the fact that I had lived 18 years of my life without it, my eating disorder had become my new life sentence. I was scared that without my eating disorder, I would immediately get fat and slow and wouldn’t race fast again. I was scared that without it, I wouldn’t make the National Team. I was scared to go into a recovery program, because I worried I wouldn’t be able to train enough. I was scared that if my club team knew I had an eating disorder, I’d get kicked off the team. I was scared that boys wouldn’t like me if they found out. Worse still, I was scared that they WOULD like me. When you believe that you are not worthy of love because you don’t love yourself, you immediately question anyone who tries to show you love or support. I thought the people who were trying to help me get better couldn’t possibly understand that without my eating disorder, I was nobody. 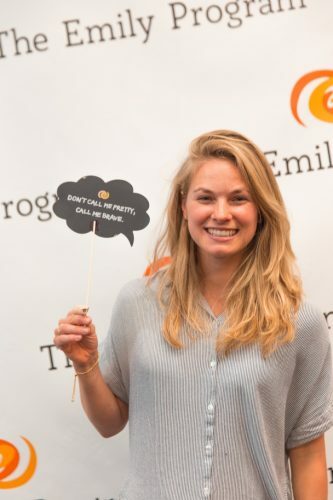 The foundation behind the Emily Program is now called WithAll, with an awesome mission to try and prevent or mitigate the severity of eating disorders by changing the way we talk about food, remove barriers to treatment by giving out grants, and help family and friends feel supported through their loved one’s treatment. Their website is withall.org, and I’d recommend it as well as emilyprogram.com as great ways to get resources and information for either yourself or someone in your life who may be struggling with an eating disorder. They are starting to launch their “What to say” initiative, because what we say to the kids who look up to us is incredibly powerful. How we talk about our own bodies in front of kids, teammates or peers can, and does, influence how they see themselves. Here’s an example; so many people comment on women’s bodies and their appearance before they comment on their actions or their character traits. This happens all the time in sports, especially for women. If I post a podium photo from a race I was proud of, where I skied with guts and really sent it, about 70% of the comments will invariably be about my appearance, not about how hard I worked or how I raced. If I was a man, do you think most of the comments would be about how strong and smart I raced? Just food for thought. Now, I’m not saying you can’t tell someone they look good! Society isn’t going to change overnight, and it’s always nice to hear that you look nice (especially when you’re on a date!). But it’s important to think about the way we pay other people compliments. Are you ONLY commenting on someone’s appearance, without evening the scales by remarking on their drive, their work ethic, their creativity, brains, wit, courage or generosity? 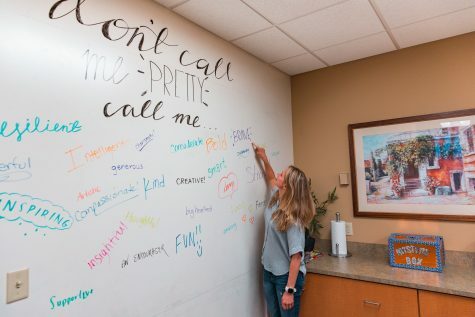 Making sure we take the time to let the people in our lives know that we appreciate them for who they ARE, not what they look like, lets them know that their character traits are more important than the looks they were born with. What you chose to do with your life is more important than how you wear the genes (and jeans) you were given. If all we ever do is tell someone “You’re so pretty! You’re so cute. You are beautiful”, they may start to believe that the most valuable thing about them is the face they present to the world. And it works the other way, too. When we put ourselves down with negative comments, we start to believe them. So here’s my challenge to you: this week, only say kind things to yourself, and about yourself. Especially when you’re within earshot of others, but even when you’re alone. If you don’t have a kind thought for your body, make one up! Fake. It. Till. You. Make. It. Language is an incredibly powerful tool that all of us possess, and the words you use to describe yourself can be a self-fulfilling prophecy. So instead of saying “I am so embarrassed by how big my leg muscles are”, re-format that to something positive, like “my legs can carry me up and over hills, and I’m grateful to have a strong and healthy body!” Let’s treat ourselves, and the people around us, with kind words.